Home The NewsMill Police SIT to probe Kishtwar RSS leader, his PSO’s killing. 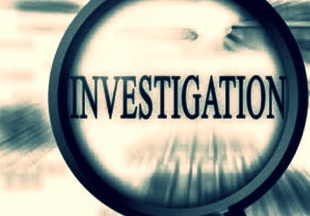 Police SIT to probe Kishtwar RSS leader, his PSO’s killing. 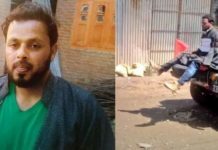 Police has constituted a Special Investigation Team (SIT) and has arrested ten suspected persons in connection with the killing of RSS leader and his PSO in Kishtwar district where curfew continued for the second consecutive day Wednesday amid internet gag. 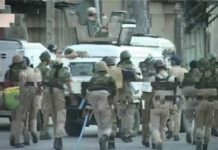 Official sources said that army also carried a flag march even as additional deployment has been made in the various areas of the district.A police officer said that five-member SIT has been constituted and it would be headed by DSP Headquarter Kishtwar Aijaz Ahmad Sheikh to probe the incident. “10 suspected persons have been arrested and they include some employees of the hospital where the attack took place,” he said.RSS leader Chandrakant Sharma was killed inside the premises of District Hospital Kishtwar where he was working as a medical assistant. His PSO Rajinder Kumar was also killed while his service rifle was decamped by the gunmen.“A case under an FIR 67/2019 under section 302, 307, 192 RPC, 7/25 IA Act, 13/16/20/23 ULA Act has been registered in connection with the murder,” Station House Officer (SHO), Kishtwar Haji Mohammad Bashir said.Meanwhile, the army carried out a fresh flag march in several parts of the district amid curfew for the second day. The Internet also remained suspended for the second consecutive day in Kishtwar and Bhaderwah. 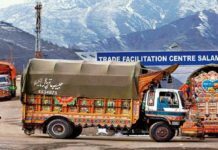 Previous articleKashmir issue has to be settled: Pakistan PM.